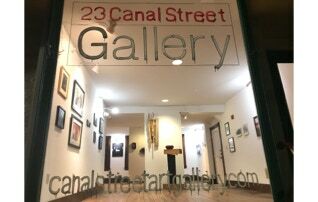 Canal Street Art Gallery offers our premier show to reach out to the local, as well as the greater area art community. There is always a need for more open spaces where artist’s creativity may be experienced and expressed, and our culture may need a more comfortable relationship with the arts. In this spirit we are please to provide the full amount of the sale of a work from the Winter 2018 Group Show to the artist. The Winter 2018 Group Show will be on view to the public from January 19 through March 15. 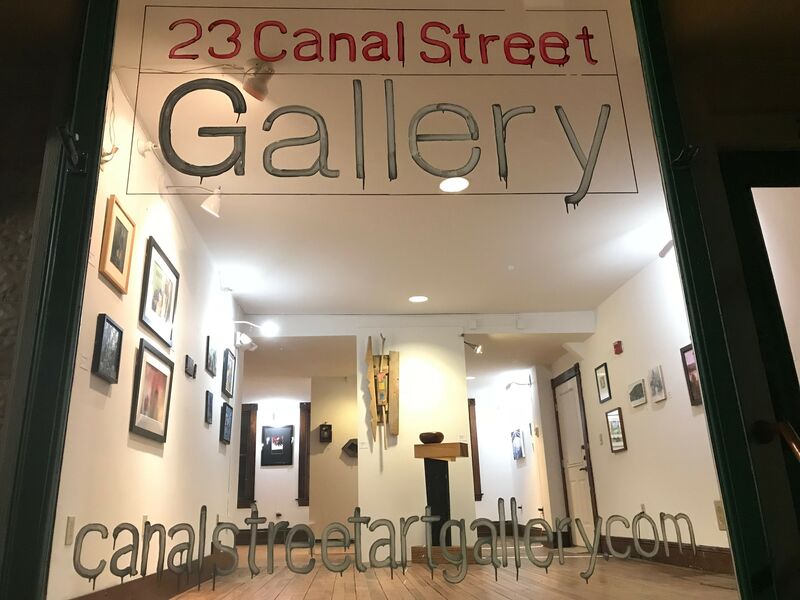 The Gallery is located at 23 Canal Street in the Historic Downtown of Bellows Falls, Town of Rockingham, Vermont and is open Wednesday through Saturday from 11:00am to 4:00pm, and all other days by appointment. The public is invited to attend the opening reception of the Winter 2018 Group Show, the premier show at the new Canal Street Art Gallery. Take part in celebrating contemporary artists working in a diverse range of mediums, styles, and voices from 5-8pm on Friday, January 19. 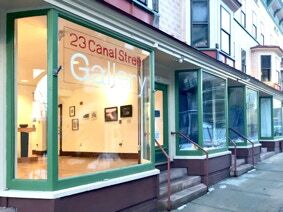 The Gallery is located at 23 Canal Street in the Historic Downtown of Bellows Falls, Town of Rockingham, Vermont.